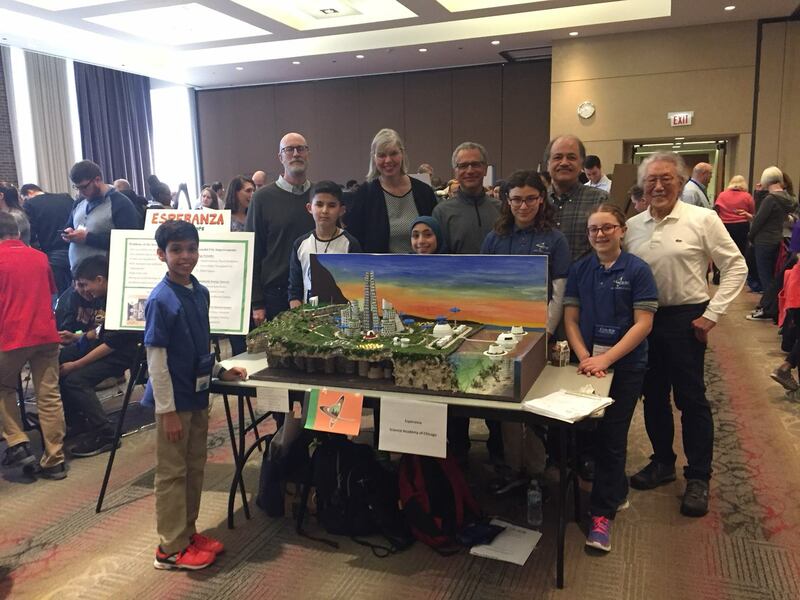 K&H member, John Birazzi, recently participated in the 2018 Future City Competition as one of the special awards judges representing the Chicago Committee on Highrise Buildings (CCHRB). The competition is open to all middle schools in the Chicagoland regional area. This year 16 schools participated, with one school making the journey to UIC all the way from Urbana, IL. The goal of this competition is to push the young minds of our future generations to learn about engineering and architecture design, sustainability, urban infrastructure and development, development of technical writing and research, as well as, presenting real life problems to middle schoolers. Additionally, we cannot forget two of the most important goals of show casing their team building and a solution to their research. We are honored to have one of our team members to be able to participate and challenge the young minds of the future. Congrats to all of the winners and Future City for celebrating their 25th Anniversary! ◀ Keep Your Building S-A-F-E!